The Website of the Game of the Story. We are approach the end of our Kickstarter period (7pm UK time Saturday 21st April) We really need as much help as possible to get the last backers to commit to get us across the line. I have learned a lot in the past 3 weeks, mostly how the whole thing is a popularity exercise. So, if you have the inclination, please share details of our project to your social media lists and any other mailing lists you are part of. Below is a few paragraphs to get you started. My friend is making a computer game with his 8yo son, who is struggling with his reading at the moment to show him that hard work pays off and giving him something other than reading else to focus on for a bit. He’s designing it; concepts, layout, images, sounds and his dad is coding it. 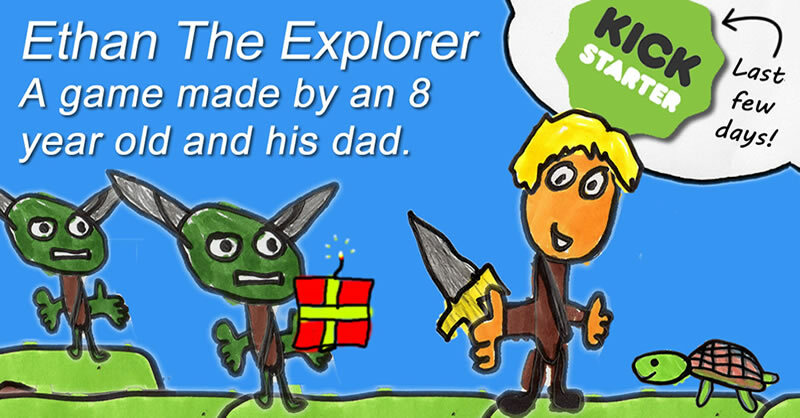 They have put it on Kickstarter to promise it to other people and have a real reason to finish it. It’s going to be really good, so if he would really appreciate it if you could take a look and share it to your contacts as the funding deadline is the 21st April. 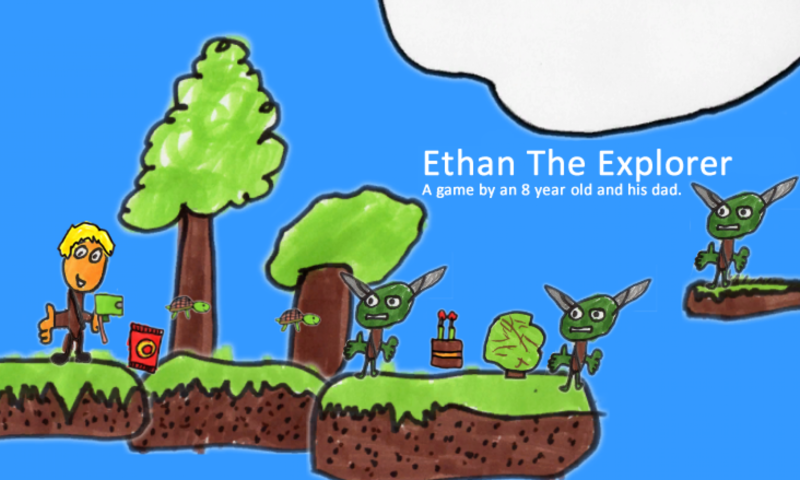 A friend is making game with his 8yo son, and really needs help getting it funded on Kickstarter. It’s going to be really good and would really appreciate it if you could take a look and share it to your contacts. When you use one of these in Facebook/Twitter/Insagram the link will automatically show up as an image… If you want a different image, you can use the one below, or visit the press page for more. Previous PostPrevious 50% Countdown Discount!